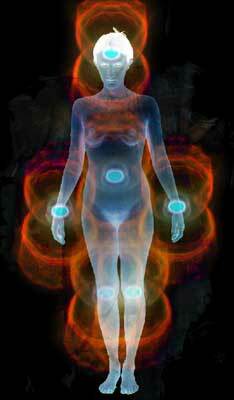 In metaphysics, Aura refers to the energy field emanating from the surface of a person or object. 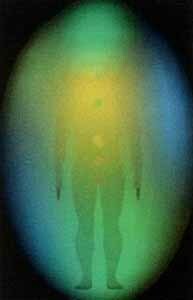 This emanation is visualized as an outline of cascading color and may be held to represent soul vibrations, chakra emergence, or a reflection of surrounding energy fields. 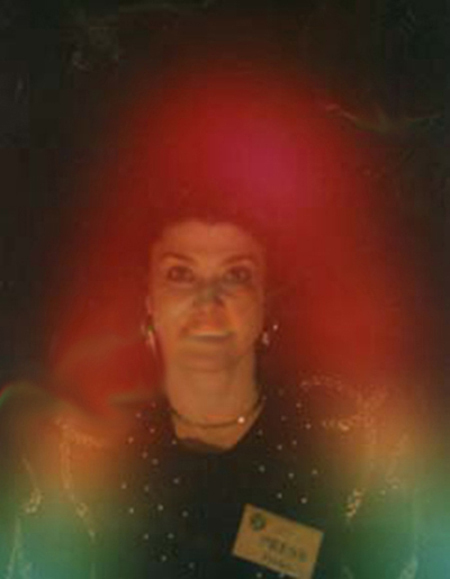 Auras vibrate to different colors, sounds, and light frequencies. 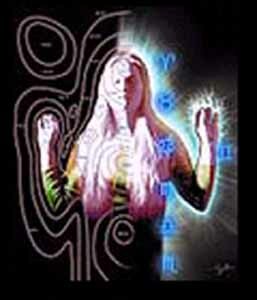 The color spectrum varies with one's physical, emotional, mental, and spiritual states. 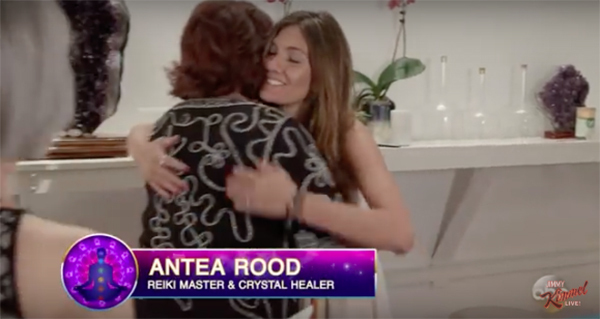 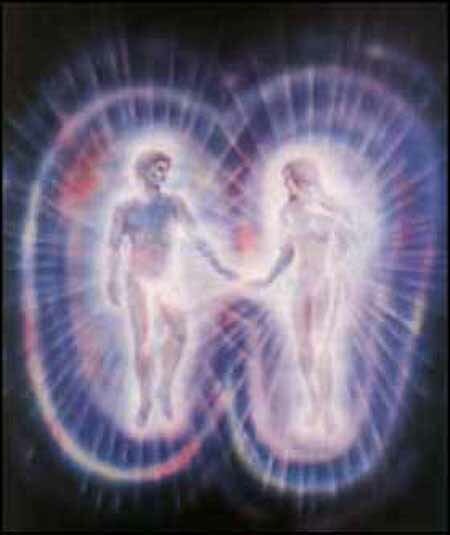 When people have done healing work together, or shared physical contact, they will share a common auric field for a period of time as they have merged their electromagnetic energies. 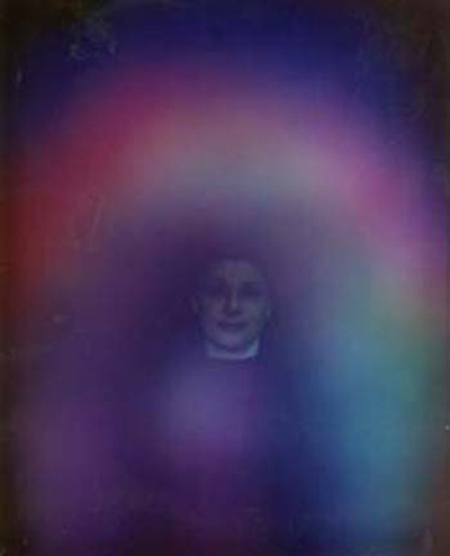 F. the result of a condition called synesthesia. 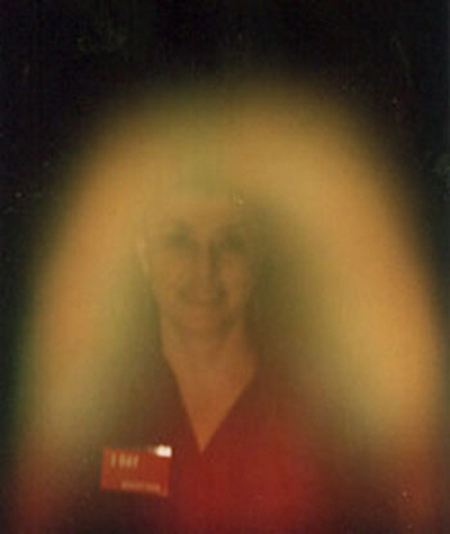 Jimmy Kimmel took his aunt Chippy to the Aura Shop to have her aura photo taken and read. 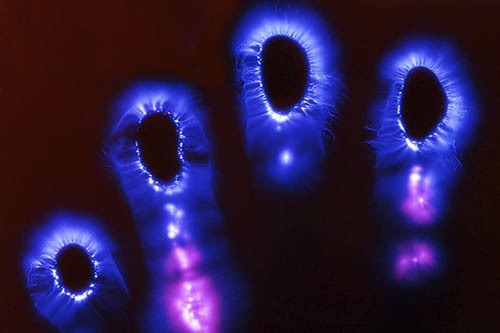 Auras, or energy field pictures around a sentient life form, goes with someone's mood in that moment. 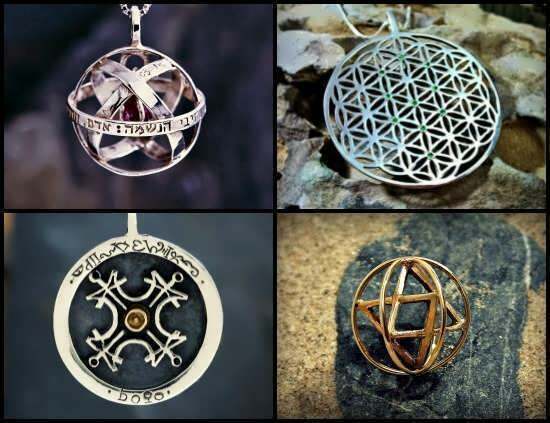 I can think the color GOLD and the image will show up as gold. 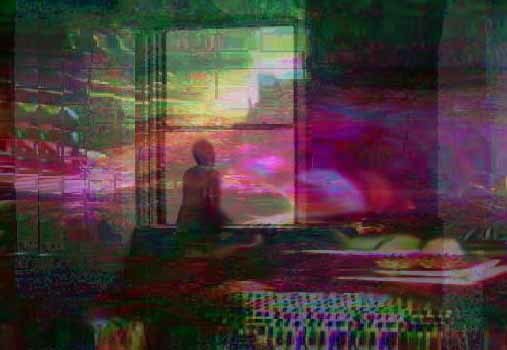 I can pretty much think any color or combinations of colors and voila that's what appears around me. 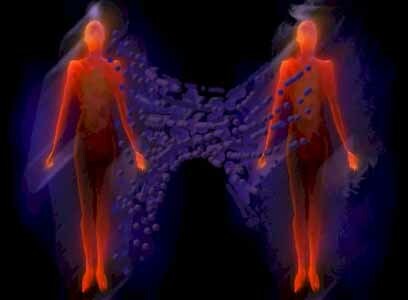 There's nothing spiritual about it - just science and math as is everything else in our reality.